When we did Good Times and Rapper’s delight followed we had no idea that it would be the beginnings of a way of life. Ever since they've happened, popular music has never divorced itself from those new practices, I’m talking about the Four on the Floor Drum Beat and of course Sampling, once they became part of the mainstream they've never gone away. I remember the very first song I wrote for CHIC, it's called Everybody Dance (Nile beat boxes the intro and then starts to sing...) :) My life changed when I wrote that song; to that bass drum pattern. Would you say you’re a fan of sampling? Absolutely, I don't do it myself because I’m a traditional composer, I play, I'm a performer, I don't just want to create a little blip or have a little piece of me used, I wanna play. The last Brian Ferry record, I went in and played 30 songs, that's great for me, I can go in and play the whole thing. I just played on the new Adam Lambert record (See the session below), Adam was running late and I played 20 different versions of the song before he got there, I like to play, that's what I do. "I don’t just make the records, I play the records"
Can you think of any hit record that I’ve had that I didn’t play on? even with another band? With Duran Duran I joined the band, with INXS I joined the band, and I’m playing on all their big hit records. I'm the floater, I get to drift in and out of the bands, and I’ve played on Diana Ross records, Madonna, Michael Jackson. I don’t play for the money anymore but interestingly I’ve played more live concerts this calendar year since the foundation of the CHIC organisation. I'm playing more now than I’ve ever played in my life. I just came back from playing in Japan, right before that I played Switzerland and also in Spain, I'm playing so much I can hardly remember, France... I’m in Texas next week then over to the UK to see you guys. I'm playing more now than I’ve ever played in my life. I wonder if last years' health scare has influenced Nile's decision to hit the road hard with the band or whether he's always charging along at 100 miles an hour. "I’ve always been zooming along at 100 miles an hour"
When the Cancer ‘incident’, as I like to call it, when that happened I just sat around, I was terrified and I still get terrified from time to time, but I've always lived like this, I only sleep a few hours most nights, last night I didn't sleep at all, I worked all night, worked on a record, I’m writing a show, endless rehearsals, my life is like 24hr's a day. 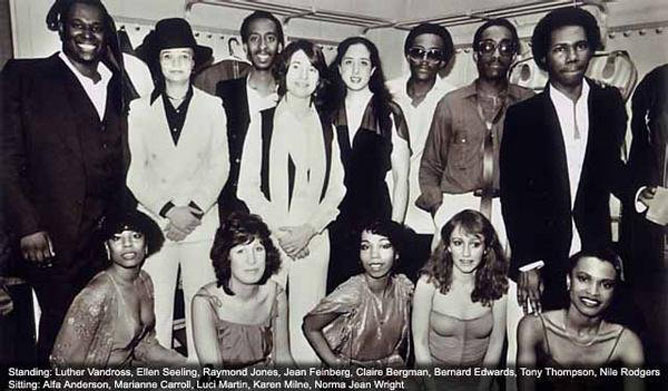 My partner Bernard Edwards (from Chic) passed away in April of 1996 during a tour of Japan, I go there every year on the anniversary of his death to perform a week of concerts. You’ll remember that last year in Japan they had the devastating Earthquake and Tsunami and then the Nuclear disaster, well that coincided with the 15th anniversary of Bernard’s death. None of those devastating events could keep me from going and performing, no Earthquakes, Tsunami - not even Cancer. Once I have a sense of purpose I have to be physically unable to play not to perform, in Japan we had around 30 earthquakes a day if not more but we played and I can tell you; the people of Japan were very grateful. It's in Japanese but It's well produced, Nile’s speaking in English and the Japanese narrator makes you feel like you can understand Japanese, you'll see what I mean. 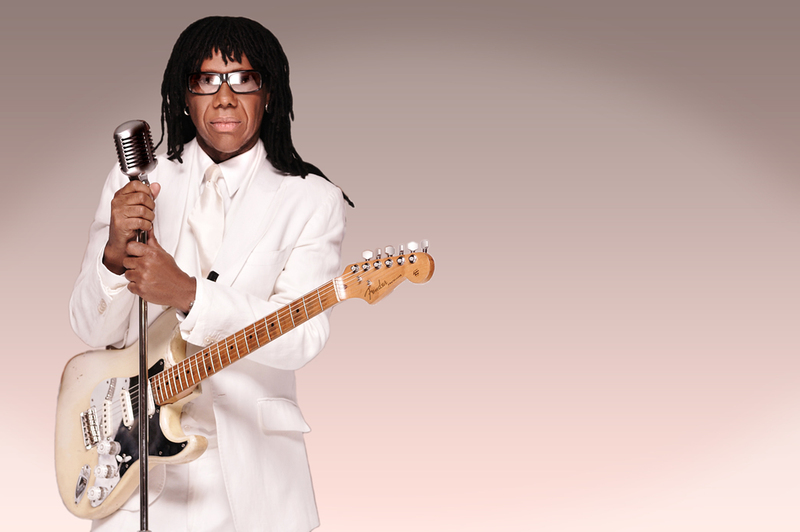 One of this Summer’s most anticipated festivals has to be The Magic Loungeabout TML 2012 starring The Charlatans, Benjamin Francis Leftwich and CHIC feat Nile Rodgers. What can we expect from you when you play TML in JULY? I’m being really honest, It's the first time I’ve played TML, I don't play live shows to make a living, I completely play them for recreation now. To be on stage, performing songs that I wrote in my bedroom, I mean, Man are you kidding me? that's like the greatest, It's a dream for a composer. The funniest think about my concerts is that most people find themselves saying 'Wow, you wrote that song too' that happens a lot. Last year we played in Manchester at The Warehouse Project, the place was packed, we started playing a few; what I would consider to be obscure CHIC numbers, songs that I think are to obscure for an American crowd, so the WHP has a fairly young crowd and I'm expecting you not to know the tracks - I was amazed, not only did you know the tracks, you guys sang every word… I remember thinking - either Manchester's the hippest place in the world or my Music’s travelled further than I thought.